My first experience with dermatology was as a teenager with allergy prone skin. I developed a severe reaction to an over the counter acne medication. My dermatologist was very caring and understanding of a young inquisitive teenager. He not only treated the reaction, but was able to control the acne and my eczema. My dermatologist was a very positive role model for me. This was, no doubt, one of the major reasons I chose to become a dermatologist. Over years of practice, I have realized that dermatology has been an ideal choice for me. My dermatology practice has allowed me to develop long-term relationships with my patients and their families in Phoenix, AZ. As a dermatologist, I enjoy the spectrum of care from monitoring moles, treating skin cancer, eczema, and psoriasis to using dermal fillers, lasers, and now radio frequency to rejuvenate our aging skin. Dermatology provides an exciting and challenging profession. I enjoy educating patients and other medical professionals about topics in the changing field of dermatology. 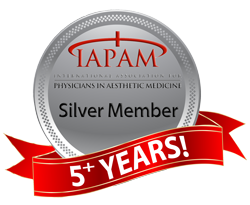 As a board certified dermatologist, I will continue to strive to provide quality individualized care for my patients. Internal Medicine Residency, Howard University Hospital, Washington D.C.
To schedule an appointment with our Board Certified Dermatologist in Phoenix AZ, contact Stockton Dermatology at (480) 610-6366 or fill out our Contact Form here.